Get all the information on all the things to see and do in and around Mount Isa for your Outback Queensland holiday. Mount Isa has many attractions that are all well worth the visit. These include tours, natural attractions, entertainment, history, scenic drives and more. 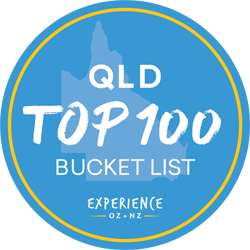 Why not visit the Award Winning Hard Times Mine, the fantastic Isa Experience and Outback Park or discover Australia's ancient past at the Riversleigh Fossil Centre. Explore the outdoors with a visit to the City Lookout, Lake Moondarra, the Granites and a little further afield, Adels Grove.